In my last post, I offered some extra explanation for common spells that called for it. This post covers more spells. Until Hex ends, the caster deals an extra d6 damage every time they hit the hexed creature with an attack. Some players hope that spells like a Magic Missile qualify for extra damage, but no. Actual attacks include an attack roll. Hex rewards casters capable of rolling lots of attacks from spells like Eldritch Blast. The target of a hex suffers disadvantage on ability checks made with an ability of the caster’s choice. This penalty does not affect saving throws, so the disadvantage rarely comes into play. Creatures outside the 30-foot cube spanned by a Hypnotic Pattern see the pattern, but don’t suffer its effects. When creatures become hypnotized, their intelligent allies typically focus their attacks on breaking the spellcaster’s concentration. Creatures with advantage on saves against being charmed also gain advantage saving against Hypnotic Pattern. Creatures immune to charm cannot be affected. Hypnotized creatures can’t take actions, but they can still evade attacks. Neither the victims’ AC nor their saving throws suffer penalties. Players dream of casting Suggestion unnoticed, but observers will spot the enchantment. In addition to the usual gestures, casting Suggestion requires a verbal component of mystic words. The verbal component includes more than just the suggestion itself. Although a wall of force blocks spells just like in past editions, the new text fails to make this obvious. The description of Wall of Force only says that nothing can “physically pass” through the wall. Designer Jeremy Crawford explains that a wall of force grants total cover, and that spells cannot target things behind total cover. (See page 204 in the Player’s Handbook.) Also. total cover blocks areas of effect from extending from their point of origin into the wall of force. This means that the wall blocks virtually all spells and their effects. Spells like Teleport and Misty Step can pass a wall of force. These spells target the creatures who teleport, not the destination. Misty Step only requires the caster to see a destination in range. This interpretation fits D&D tradition, which says that creatures who teleport travel through the astral plane and that walls of force do not extend to the astral plane. In the past, a wall of force could not block gaze attacks. This still applies to monsters, because they have gaze attacks that only require a victim who sees the eyes. However, the Eyebite spell implies that the caster targets victims. When a caster creates a wall of force consisting of ten 10-foot panels, all the panels must form a single flat surface with a side of each panel connecting to another panel’s side. The wall cannot include checkerboard-style, corner-to-corner links. For spells like Silence and Darkness, marking the spell’s area of effect on a map steals the uncertainty experienced by characters under the spell. Creatures in a Fog Cloud cannot see whether a step takes them deeper into the cloud. Creatures in Hunger of Hadar cannot see a path out and desperately want to find it. A Silence spell that affects some characters can create a fun situation. Instead of marking the silence on the map, tell the characters who can no longer hear. Those players may not talk to other players, nor can the other players talk to them. Nobody sees the bounds of the silence, but they know who can’t be heard. If someone wants to help lead the characters out of the silence, they must point and gesture. Spells like Darkness and Fog Cloud effectively blind characters, leaving them with no knowledge of the spells’ reach. If a spell leaves out some of the party and enables them to see the area of effect, handle the spell in the easiest way: Mark its area on the battle map and let everyone take advantage of the perfect information. This assumes that characters shout directions to guide their blinded allies. Also, this assumes that everyone gives and follows directions perfectly. As long as players and their foes sometimes benefit from the assumption, it seems fair. If a spell blinds everyone in a party, ask all the players how they intend to act and where they plan to move. Then go back to taking turns. When someone leaves the spell’s area, you can mark it the battle map. But until the next round, you can hold the players to their declared actions without being unfair. Everyone in a round takes their actions in the same six seconds. Any character who found a way out was too busy getting there to guide anyone else. If a spell blinds monsters, then as the dungeon master, you must take the familiar job of reacting as the creatures would. Outside of a spell’s area, smart creatures might shout instructions to guide allies. Inside, smart creatures might spread out, assuming the caster aimed to blind as many creatures as possible. Aggressive creatures might charge the spellcaster. Cautious creatures back away until they can see. If more than one action seems equally likely, roll a die. Whatever the monsters do, explain their rational. Players should feel that the monsters act on something other than the DM’s perfect knowledge. This entry was posted in Advice, Rules and tagged Jeremy Crawford, Mike Mearls, spells. Bookmark the permalink. I had a player us suggestion in a way that made it seem like the suggestion was the only vocal component. That basically made it easier for him to use the spell, far too​ easy. To be fair though he was not abusing the spell in terms of suggestions, those he kept reasonable​. The ability check disadvantage from Hex is essentially an out of combat utility aspect of the spell. Essentially, you can cast this on an NPC without ever intending to attack them – it lets the character put a curse/bad juju on someone who’s earned their wrath. Players who fail to realise this and only ever use Hex in combat are missing one of it’s juiciest aspects. The Wall of Force thing makes sense if you treat it as…a wall. Despite the fact it’s transparent, it’s still a solid wall. Also note that the same restrictions have been noted in tweets for attempting to cast most spells through windows. 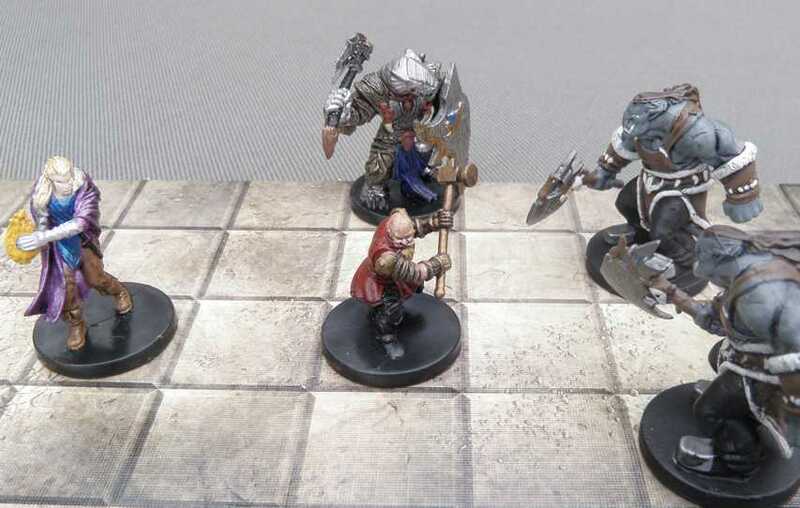 The 5e rules generally interpret “line of sight” to mean that no physical barriers (such as glass) be between the the caster and the target. Another way to think of it is that anything that will block an arrow will also block most spells. In the case of a glass window, you can certainly rule (as I would) that a spell might break the window, but that is probably a waste of a spell when you can throw a rock first, then cast the spell.